Stop by our Sparks location before your trip to the DMV in order to get your smog test and registered. Whether you pass with flying colors or a need a little bit of work done, we will make sure you get your car registration renewed. While it’s common for an older car to have problems with smog emissions, the same can happen in new cars, especially O2 sensors, emissions canisters, and switch failures. One of the most expensive components can be replacing the catalytic converter. Sometimes it can be as simple as using quality gas and/or driving around before the test to burn off some of the emissions to pass the test. Either way, we will make sure your smog test is worry-free so you can be on with your day. 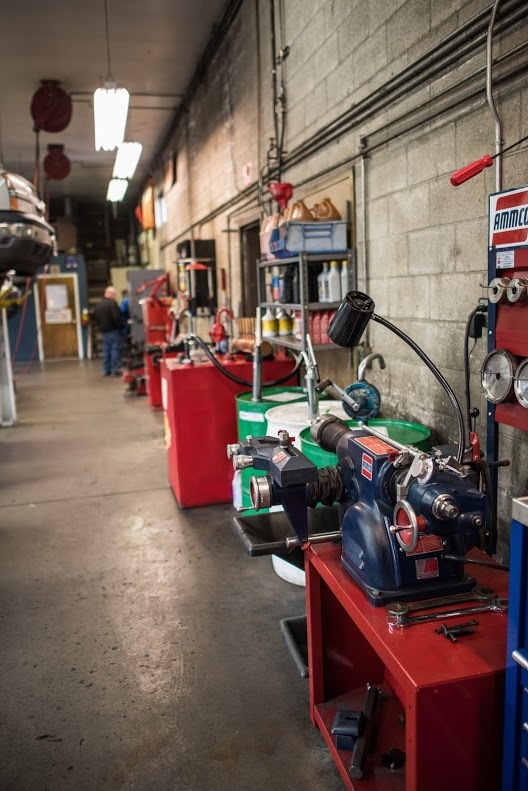 We pride ourselves on being honest about what type of work your vehicle needs and having a quick turnaround at fair prices. Are there any exemptions to a smog check? Yes, there are several circumstances that allow you to skip your smog check. Some older cars don’t have to have a smog inspection, such as cars that are a 1967 model or older. Electric cars that are less than five years old also don’t require a smog inspection. Also, if the car is being transferred between two different companies that both lease vehicles as the primary part of the business. There are several times when we can exempt your vehicle from inspection. Contact us for more information. I recently moved. What do I need to do to get my car registered in Nevada? Make sure you register you car within 30 days from becoming a Nevada resident. Your car will need to pass a smog inspection and a VIN inspection. You will also need to bring your current car title, license, registration, and plates. DMV application for vehicle registration and whatever DMV fees apply. There are different requirements depending on if you bought your car from an out-of-state dealer or one in Nevada. Check out the DMV website for more info. Will my car fail the smog inspection if the check engine light is on? The federal government requires that cars have a monitoring system that lights up when it detects an emissions system error. Therefore, your vehicle can not pass if the check engine light has been on. We suggest bringing in your car ahead of when you need to take it to the DMV. Then you will have the time to get the necessary repairs and services performed so you can pass your smog inspections without delay. Thank you for the great unexpected service to my daughter’s vehicle so she could pass her driver’s test. Because of caring people like yourselves and the great customer service (which a lot of businesses don’t have anymore) it is no wonder why you have the reputation that you do, for being the very best in the business. Again, thank you all for what you did. You are awesome. Levrett Transmission, Inc. employees who took such great care of the “Bakersfield Lady” with motor home transmission problems – a great big thanks! It was heartwarming to find such a caring and competent business. Arrived home with no problems thanks to all of you. Thank you so much for your awesome customer service and great sense of humor. Very much appreciated. You have restored my faith that there are good people and shops in the Reno area. Thank you so much for all your kindness and work! What you did for me is one the nicest things anyone has ever done for me and I’ll remember it as long as I live. You are all living proof that honest and nice people really are out there. Thank You! Thank You! Thank You! Thank you and your staff for taking such outstanding care of our motor home. The car is performing like it has not in many years and I am extremely pleased with that along with the amount of money I no doubt saved by dealing with your firm. I want to express my “Thank You” for your honest Quality diagnosis and work performed on the transmission of my vehicle. Your entire staff was very helpful. It is easy to see why you have such a successful business. I was happy to pay you for the work you and your staff performed. Not only did you bend over backward to get me on the road within 24 hours, I also felt that your prices were reasonable. At no time was I ever concerned. Thank You!! You have made my truck a pleasure to drive again. Your customer service is outstanding. I will be recommending your shop to my family and friends. Thanks for a great job on our transmission – valve body working great.. appreciated you not doing a complete transmission. Breath of fresh air! Some time ago we read in the paper how you helped the people who were on their way home to Oregon, but their car stalled in California. Because you had worked on their car when they were in Reno, they called you about the trouble, and you made the long trip to assist them. We want you to know how much we admire your actions and we certainly have you down as the person we want to work on our car should the need arise.